1.4 You must be at least 18 years of age to use our website; by using our website or agreeing to these terms and conditions, you warrant and represent to us that you are at least 18] years of age. 3.1 Copyright (c) 2018 Institute of Civil Funerals. 4.6 Notwithstanding Section 4.5, you may not redistribute our newsletter in print and electronic form to any person. 8.2 If you wish to remove your data, please contact us on [email protected] and we will remove it for you. 9.1 In these terms and conditions, "your directory listing" means the information you add to your profile. 9.2 By ticking the box 'show directory listing', on the member profile page, you confirm you are happy for your information to be shared publicly. 9.3 You may edit your directory listing to the extent permitted using the editing functionality made available on our website. 9.4 Your content must not be illegal or unlawful, must not infringe any person's legal rights, and must not be capable of giving rise to legal action against any person (in each case in any jurisdiction and under any applicable law). 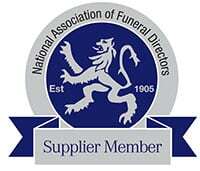 21.1 This website is owned and operated by The Institute of Civil Funerals. (d) by email on [email protected].